At this year’s Goodwood Festival of Speed that concluded earlier this month, McLaren had quite a bit to show off. Among the fleet, there was something particularly intriguing. Something a little more jagged than the British automaker’s usual offerings. 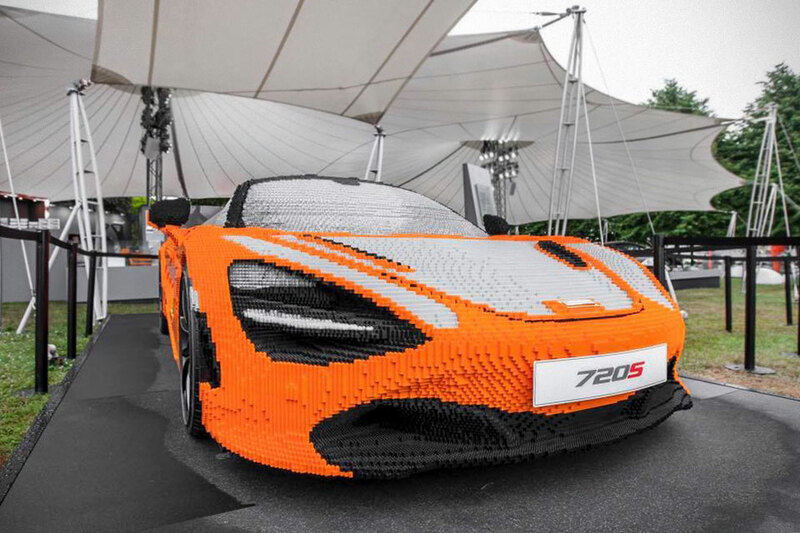 It was a full-size LEGO McLaren based on the all-new beastly 720S. Yes. 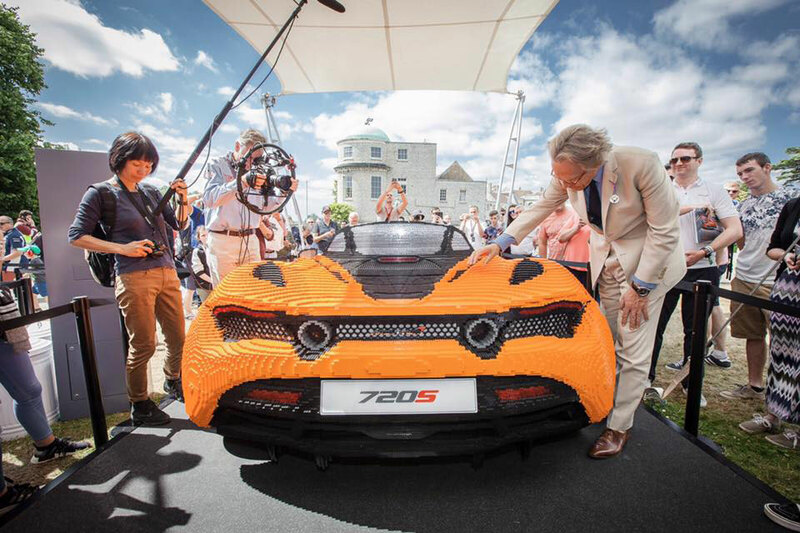 It was a 1:1 LEGO replica of the 720S. Obviously, what McLaren pulled off isn’t new. 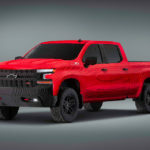 We have seen a number of full-size automobile replica in the past, including the likes of Ford Explorer, LEGO Batman Movie Batmobile, and even a fully-functional camper – just to name a few. But McLaren 280,000+ pieces example was a tad different. It was conceived to engage with McLaren fans. You see, when this masterpiece appeared at the Festival, it was not quite completed yet. 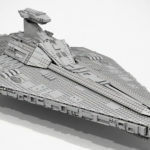 It had 267,300 pieces of LEGO elements on it. McLaren envision engaging with fans by inviting fans hitting up the stand to help to add 12,700+ pieces to complete the model. As far as marketing is concerned, it seems like a brilliant and one that’s refreshingly different. 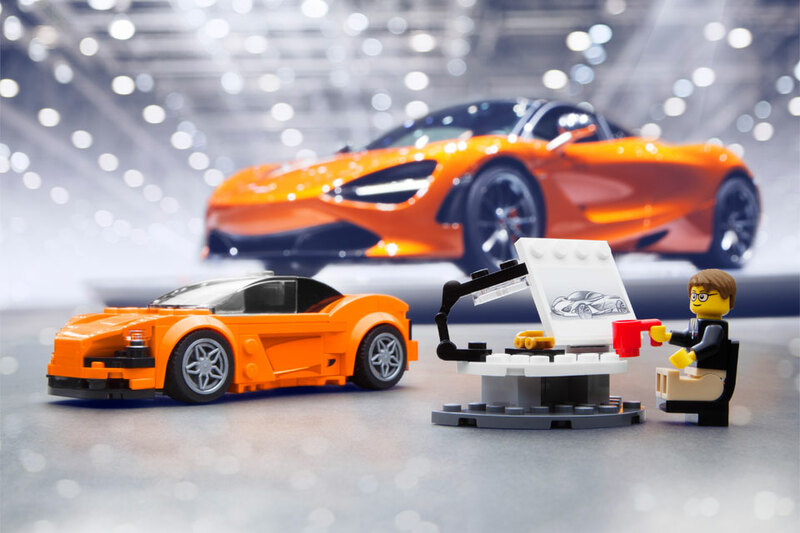 Armed with in-depth vehicle CAD data provided by McLaren, a team of six from Billund, Denmark-based Speed Champions LEGO team took over 2,000 hours to realize. 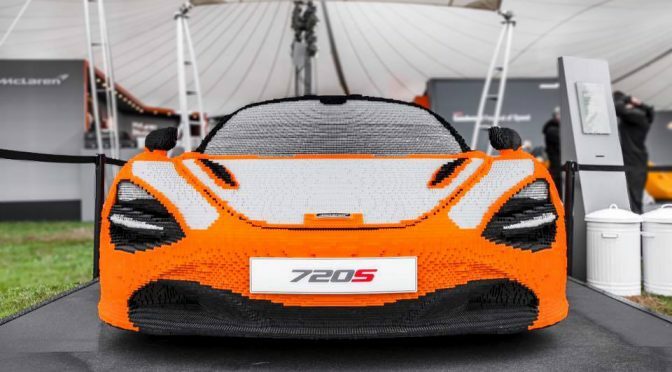 Nearly 100 percent of this full-size LEGO McLaren 720S are made from LEGO elements, with the exceptions of the steel frame that it was built around, the branding and license plate, and of course the all-new Pirelli P Zero CORSA tires, complete with silver ‘Pirelli Color Edition’ graphics, it sat on – just like its road-going counterpart. Rad. 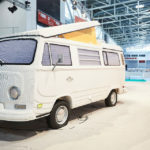 Clearly, the life-size LEGO 720S is not yours to own – even if you have shitload of money. In any case, it is way too big to be practical. I mean, seriously, you will need a garage space just to display it which you are better off parking a real £208,600 720S, but thankfully, a more practical example does exist and it is called LEGO Speed Champions 75880 McLaren 720S. 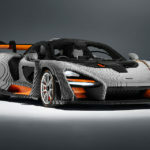 The 161-piece set was announced back in April 4 and it joins the legendary McLaren P1 in the LEGO Speed Champions range (which offers legends from Porsche and Ferrari as well). Granted this tiny version is not as accurate as the life-size example (obviously), it does look pretty cool – thanks to the inclusion of a car design minifig and design studio desk, complete with coffee cup, original design sketch, and a 3D-printed model car. 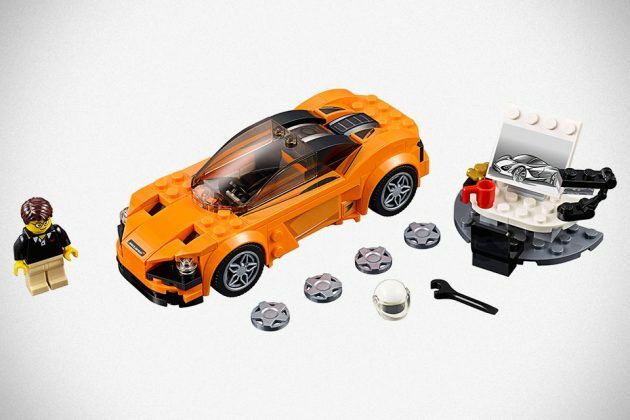 Unlike the actual car, the LEGO Speed Champions 75880 McLaren 720S can be yours for a paltry $14.99. Bargain price for a McLaren, I’d say.